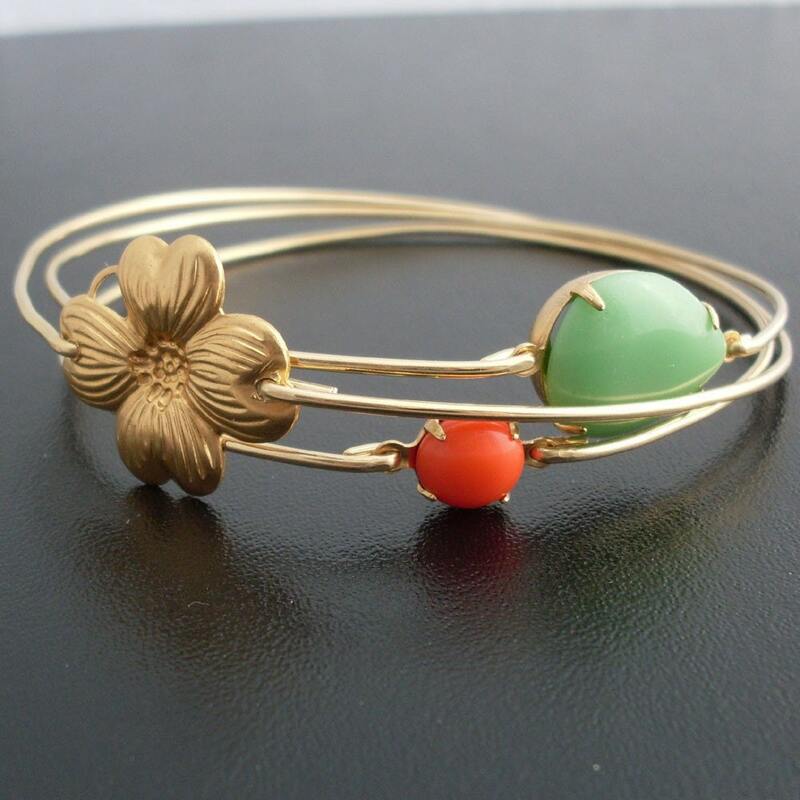 This bridal and bridesmaid jewelry delivers spring flowers, light green grass and flower buds to your wrist, dazzling with the colorful essence of blooming flowers. 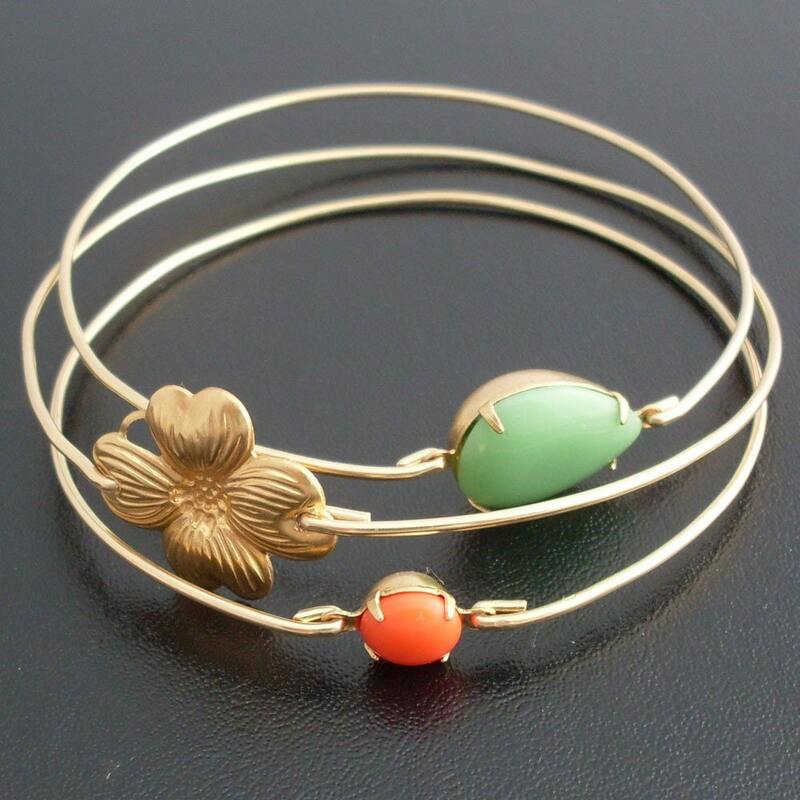 It includes a bangle with a gold tone brass flower, one bangle with an large tear drop light green stone, and one with a coral or orange round stone. 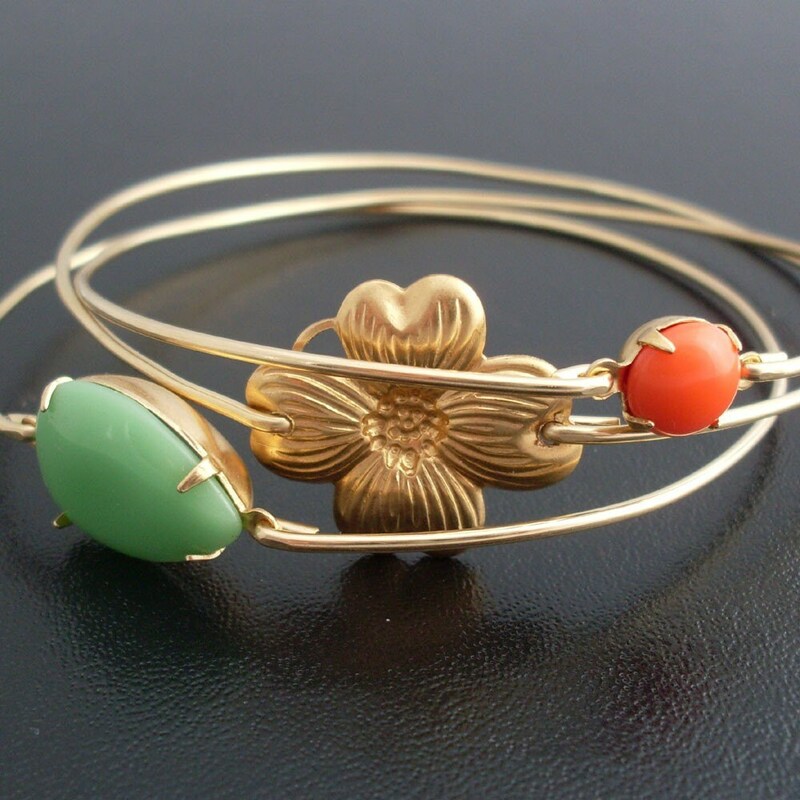 All are paired with a dainty & delicate 14k gold filled bangle bands. Either way, this wedding flower bouquet jewelry set makes for unique wedding jewelry for the bride or bridesmaids. 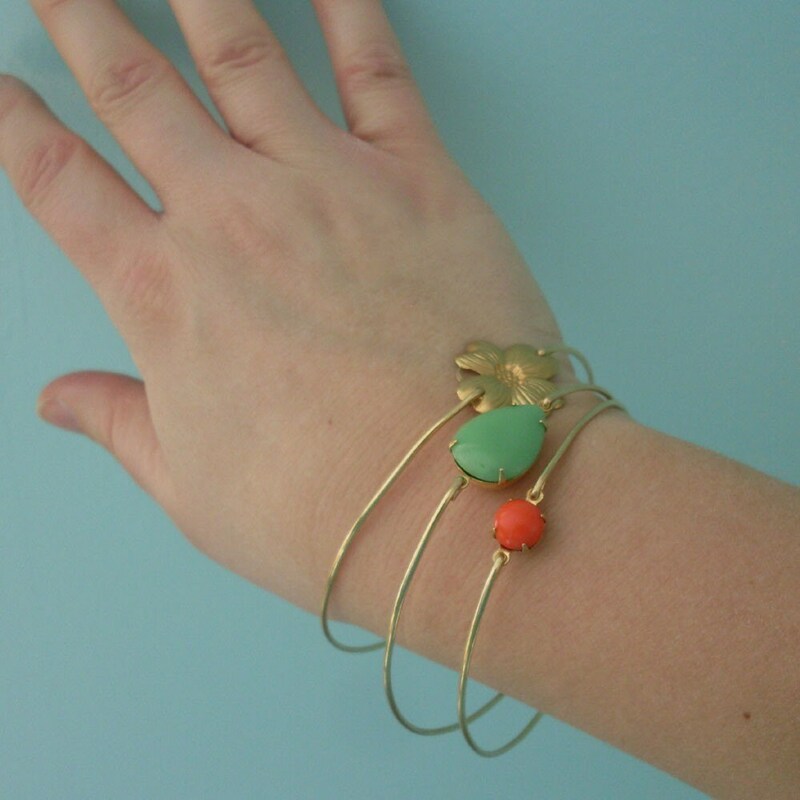 Please specify size for this unique wedding bracelet set in notes to seller during checkout. 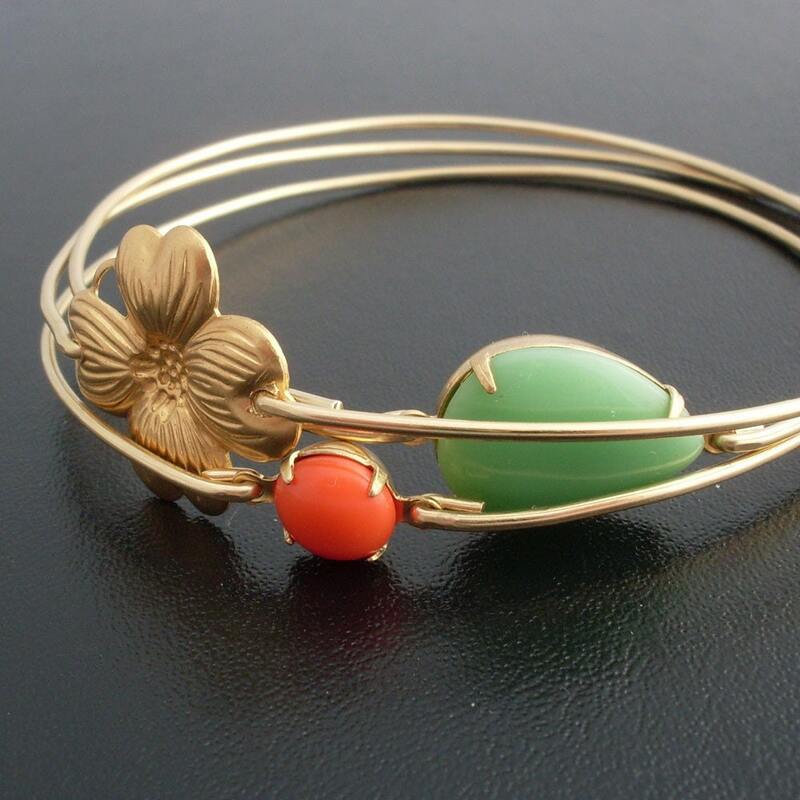 Custom size bangle bracelets: specifyt a custom size for your wedding bouquet jewelry.